Sam Pinkleton & Ani Taj’s UNTITLED DANCESHOWPARTYTHING, a hype music video disguised as an absurdist style dance party. The 7 Fingers’ SHIPS IN THE NIGHT, an emotion-filled contemporary experience telling its story through the use of cutting-edge digital projection interwoven with the authenticity of the human condition. Randy Weiner’s ANOTHER ROSE, a dinner party that combines theater, dance, variety, music, intimate moments, and a multicourse meal, hosted by an alluring and free-spirited Chanteuse who encourages guests to explore new relationships and engage with one another in unique and daring ways. Be prepared to learn several dance combinations. Wear clothes and shoes that you love dancing in and that allows you to move in a broad range of styles. They don’t have to include a leotard or tights. Don’t wear character shoes. Performers should be game to perform in 360 degrees and engage and speak to audience members in close proximity. Bring four (4) copies of your headshot/resume. Be prepared to stay for a performance callback. PERSON 1 – Female or Nonbinary dancer with basic aerial experience. PERSON 2 – Male or Nonbinary dancer with voguing and tutting experience. PERSON 3 – Female or Nonbinary dancer with experience in samba and/or dancing in heels. PERSON 4 – Excellent and versatile male or nonbinary contemporary dancer and confident improviser. PERSONS 5 + 6 – Excellent and versatile contemporary female or nonbinary dancers who are comfortable with text + comedy. PERSONS, 7, 8, + 9 – Excellent and versatile dancers of any gender who are comfortable with text, comedy, and up-close audience interactions. 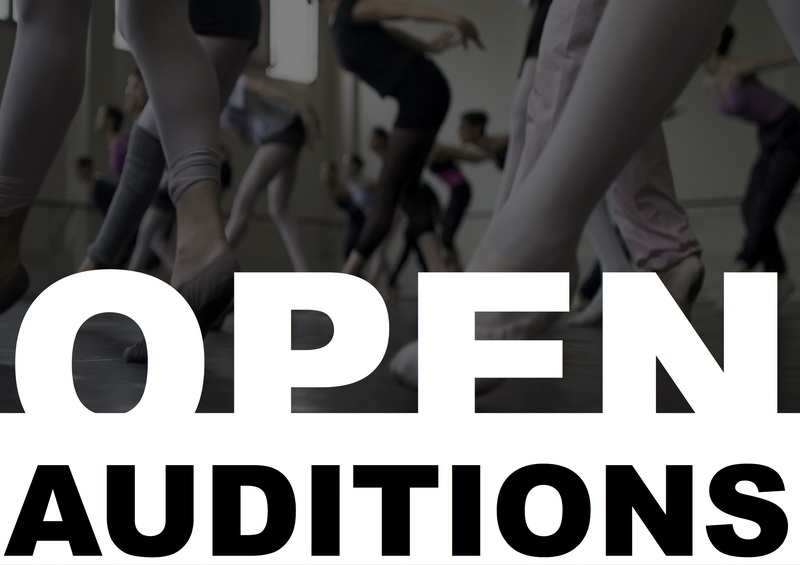 DANCER 1/LEAD, Male or Non-Binary- Medium build, strong contemporary, must be capable of base lifts, but also be lifted. Aerial work. Strong physical theater/acting. DANCER 2, Male or Non-Binary– Medium build, strong contemporary, must be capable of base lifts but also be lifted. Aerial work. Strong physical theater/acting (swing for lead). DANCER 3, Male or Non-Binary- Medium/large/extra large build, contemporary and/or hip hop/break, acro/tumbling and base minor lifts. DANCER 4, Male or Non-Binary– Medium/small build, contemporary, acro/tumbling, base minor lifts, but also be lifted. DANCER 5, Male or Non-Binary- Medium/small build, hip hop/break, acro/tumbling, be capable of base minor lifts, but also be lifted. DANCER 6/LEAD, Female or Non-Binary– Medium/small build, strong contemporary, must be capable of base lifts but also be lifted, aerial work. Strong physical theater/acting. DANCER 7, Female or Non-Binary – Medium/small build, strong contemporary, must base lifts but also be lifted, aerial work. Strong physical theater/acting. (swing for lead). DANCER 8, Female or Non-Binary – Small build, contemporary and/or hip hop/break, (acro/tumbling), base minor lifts. DANCER 9, Female or Non-Binary – Medium/large/extra large build, contemporary and/or hip hop/break, capable of base minor lifts. DANCER 10, Female or Non-Binary – Medium/large build, contemporary and/or hip hop/break, (acro/tumbling), capable of base minor lifts. SYDRA – Female – able to read as 45-65 – actor/dancer – should be a strong contemporary dancer – Sofia’s mother, the overly protective queen – physically striking and startling, traditional and fiercely protective of her way of life, incredibly influential and powerful, wields certain magical abilities, wants what she thinks is best for her daughter, cares a lot about appearances. SOFIA – Female – 20-30s – actor/dancer – our leading lady – the protected princess, wide-eyed, shy but very curious, has always been a rule follower but has an itch, hasn’t had many opportunities to take charge. INDIGO – Male – 25-35 – actor/dancer – a very wealthy prince – striking feminine features, beautiful, hypnotic and magnetic, very open, wise and thoughtful, a listener. TORRIN – Male – able to read as 25-40 – actor/dancer – a working class palace guard – strong and commanding, rough around the edges but very playful. Flirty, mischievous, often in charge and not easily surprised. FIVE GUARDS – Female, Male or Non-Binary – actor/dancer – the core dance ensemble, must be strong contemporary dancers. Powerful and striking presence. Strong sense of body in space. Good comedic timing. Immersive performance experience a plus. Ideally some dance ensemble members would have parkour, tumbling abilities. And some would be strong vocalists to swing into other roles.